For commercial lockouts Grand Rapids call Desmond at A1 Locksmith Service. He is local, rarely more than 10-20 minutes away. He is fast, friendly and affordable. 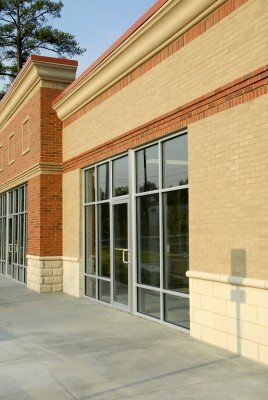 For commercial lockouts our 24 7 locksmith provides fast, reliable and professional service to unlock your place of business in Grand Rapids. You can safely and quickly gain access to your business. We provide 24 hour emergency service, or if you'd prefer, you can set an appointment for a time that is convenient for you. Key extraction is a technique used by our commercial locksmith to safely remove a broken key that is stuck in your lock. Once the key is removed the locksmith can create a replacement key (exact match of your old one). When your keys are inside and you are locked out, you need fast service. We are rarely more than 10-20 minutes away. Our locksmith carries the proper lockout tools to remedy the situation quickly. A small part inside the lock maybe worn out or broken. Also, over time lock can become dirty and sticky. If you catch it early, at the first signs of trouble, it is not difficult to fix. The sticky problem can be handled on a non-emergency basis and won't be as costly as if you ignore the early signs and let the locks seize.